Born in Dunville, Ontario, son of W. H. Montague and Angeline Furry, he was educated at Upper Canada College, graduated from Osgoode Hall in 19095 and received a military commission the same year. He was called to the Ontario and Manitoba Bars in 1907, and made a King’s Counsel in 1928. He joined the firm of Pitblado and Hoskin in 1913 and remained with it for 19 years, taking a leave of absence during the First World War. 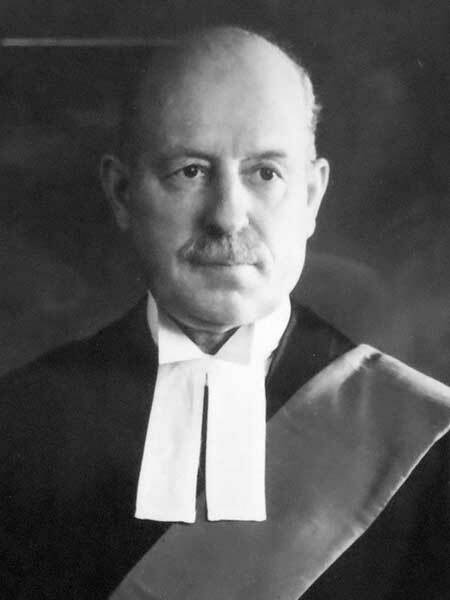 In 1932, he was appointed to the Manitoba Court of King’s Bench. On the outbreak of the Second World War, he was posted to Canadian Military Headquarters in London serving first as Quartermaster-General then as Judge Advocate-General for the Canadian forces. He later succeeded to the appointment of Chief of Staff and attained the rank of Lieutenant-General, the highest ranking Manitoba serviceman in the Second World War. Father-in-law of E. H. Moncrieff. He served as President of the St. Charles Country Club in 1927 and was a member of the Manitoba Club. He was awarded an honorary doctorate by the University of Manitoba in 1942. He returned to the Manitoba Bench in 1945 and was raised to the Court of Appeal in 1951, from which he retired in 1959. He died at the Deer Lodge Military Hospital on 11 June 1966, and was buried with full military honours.